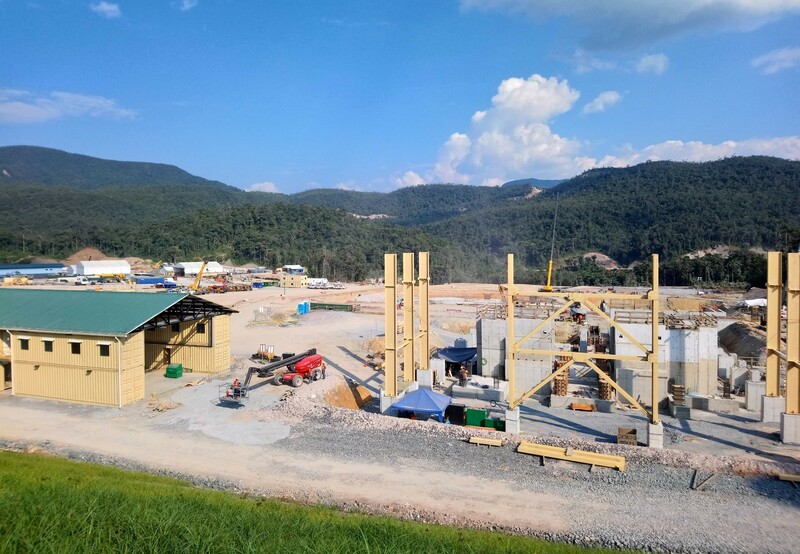 Lundin Gold Reconfirms Project Schedule and Lowers All-in Sustaining Cost Estimate to Us$583 Per Ounce for Its Fruta del Norte Gold Project | Lundin Gold Inc.
VANCOUVER, Sept. 19, 2018 /CNW/ - Lundin Gold Inc. ("Lundin Gold" or the "Company") (TSX: LUG, Nasdaq Stockholm: LUG) is pleased to announce the results of its update of the project estimate ("UPE") for its Fruta del Norte gold project ("Fruta del Norte" or the "Project"). The UPE involved a thorough review of the mine plan, capital and operating cost re-estimate and an update to the Project schedule. All amounts are in U.S. dollars unless otherwise indicated. This update should be read in conjunction with the Technical Report entitled "Fruta del Norte - NI 43-101 Technical Report on Feasibility Study" (the "Technical Report") filed by the Company in June 2016, with an effective date of April 30, 2016, and the Company's project update press release dated May 30, 2017. 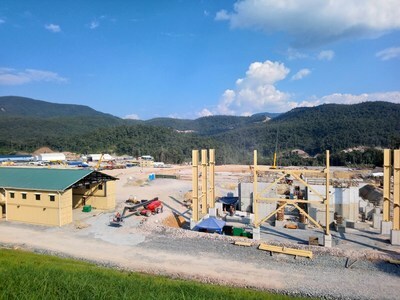 Reconfirmed construction schedule with first mine production planned in Q2 2019 and first gold production planned in Q4 2019. Reduced period of capital payback to 3.5 years from 4 years with improved IRR to 17.5% from 16.3%. A 10% increase in NPV 5% to $786 million from $717 million. Estimated all-in sustaining cost ("AISC") reduced to $583 per ounce of gold from $609 per ounce of gold. Estimated operating cost per tonne decreased 7.3% from $111.84 to $103.65. 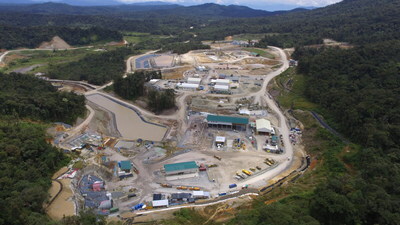 Estimated total gold production increased by 73,000 ounces to 4.6 million ounces over a 15 year mine life. Total estimated capital expenditures increased only 1.2% from $684 million to $692 million. "At the end of August we had committed 63% of planned capital expenditure, and construction is 27% complete. 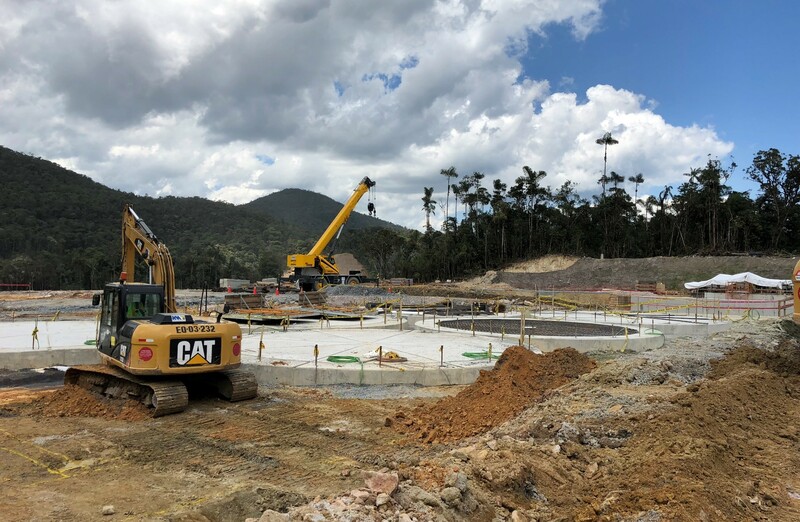 The UPE demonstrates that we are on track to build Fruta del Norte on budget and on schedule which is a credit to our Project team," said Ron Hochstein, Lundin Gold's President and CEO. "We were able to lower the estimated AISC through improvements in the mine plan, refinement of processing costs and negotiation of smelting contracts for the concentrate. This further demonstrates the robustness of our high-grade Fruta del Norte gold deposit." As at August 31, 2018, a total of 2.9 kilometres ("km") had been achieved including declines and auxiliary development, with 1.4 km and 1.5 km achieved in the Kuri and K'isa declines, respectively. Daily August average advance rates were 6.1 metres ("m") for both Kuri and K'isa, versus a target of 4.7 m and 4.3 m per day, respectively. Both declines have now crossed the Machinaza Fault and have gone under the Machinaza River, with no water inflows. Grinding building steel erection is underway, and process plant concrete is 30% complete. Mill process equipment is arriving on site, and the grinding mills are currently en route. The two construction fronts on the North Access Road have met, and the road is expected to be complete by the end of September. The Environmental Licence was received for the Mountain Pass Quarry, and negotiation of the Quarry Exploitation Agreement with the Yantzaza municipality is well underway. Construction of the powerline, both onsite and offsite, is proceeding. 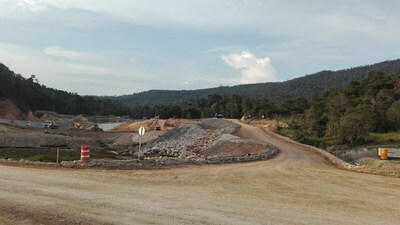 Construction of the Tailings Storage Facility is ongoing. 63% of planned capital expenditure is now committed or incurred, of which 36% of planned capital expenditure has been incurred. Project engineering is now 60% complete. Activities have commenced to prepare for operations including the hiring of the general manager and mill manager. The Company has increased its estimates for Probable Mineral Reserves slightly by 80,000 ounces when compared to the Project update annouced on May 30, 2017 (the "PPR") and by 204,000 ounces when compared to the estimates contained in the Technical Report. See "Additional Technical Information" below for further information regarding the Probable Mineral Reserve Data. 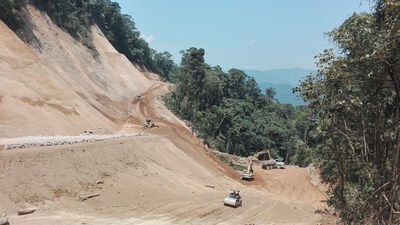 As a result of the UPE, Fruta del Norte's mine plan has been improved, and a strategic decision was made to utilize primary-secondary sequencing versus end-slicing. Implementing this methodology provides greater operational flexibility with access to more areas of the ore body simultaneously and reduced backfill costs due to longer cure times and less binder requirements. 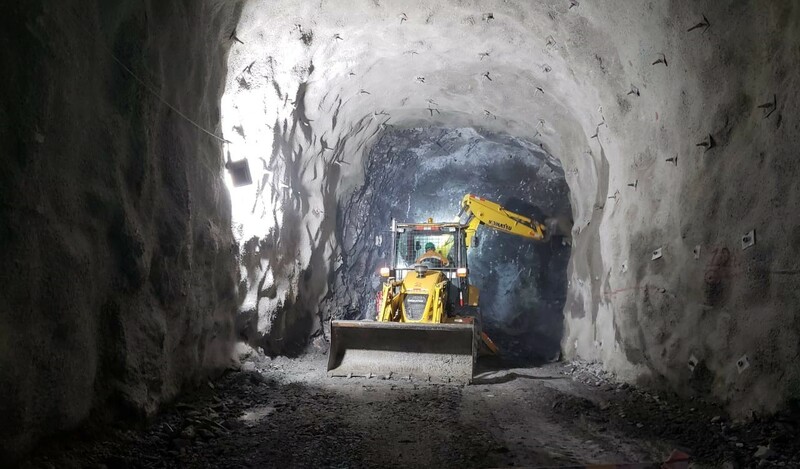 Lower cut-off grade from 4.1 gram per tonne gold ("g/t gold") to 3.8 g/t gold for transverse stoping and from 5.1 g/t gold to 5.0 g/t gold for the drift and fill stopes. Better balancing of mining methods with a slight increase in transverse stoping from 72% to 75% of ore removed. The remainder will be mined using drift and fill techniques. Total capital development, including owner and contractor, reduced from 19.0 km to 14.7 km. Revised pre-production capital cost is now estimated to be $692 million, inclusive of contingency and pre-production expenses and revenues and net of taxes. This represents a slight increase of $8 million, or 1.2% over the PPR estimate, which totalled $684 million. This increase is mainly due to infrastructure costs and community and environmental monitoring being higher in the UPE than the PPR. Operating costs estimate is down 7.3% or $8.19 in the UPE to $103.65 on a per tonne basis compared to the PPR, and 3.7% or $15.89 to $408.20 on a per ounce basis. This is a result of the optimized mining methods, which reduced the mining costs, and reduced reagent consumption estimates based on the most recent metallurgical test work. AISC is now expected to be $583 per ounce of gold instead of $609 per ounce of gold, representing a $26, or 4% reduction. In addition to the lower mining costs, average concentrate treatment charges in the UPE are significantly lower than the charge of $275 per dry metric tonne estimated in the PPR, which was offset by slightly higher transportation, refining and penalty charges. Project economics continued to improve using the same gold ($1,250 per ounce) and silver price assumptions ($20 per ounce) used for the PPR and the Technical Report. The capital payback period is now estimated at 3.5 years with a 17.5% IRR and an NPV 5% of $786 million. 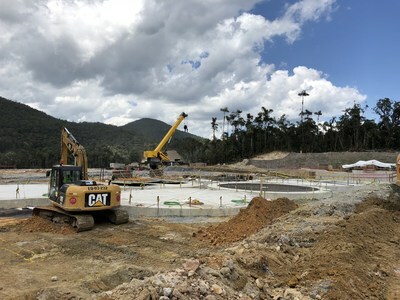 The technical information relating to the Fruta del Norte Project contained in this Press Release has been reviewed and approved by Ron Hochstein P. Eng, Lundin Gold's President and CEO, who is a Qualified Person under NI 43-101. (1) Except as set out below, the assumptions, parameters and risks associated with the results of the Technical Report for the Project, the Mineral Resource and Mineral Reserve estimates included therein, the PPR and the UPE, are as set out in the Technical Report. (2) All Mineral Reserves in this table are Probable Mineral Reserves. No Proven Mineral Reserves were estimated. (3) PPR estimates are as at December 31, 2017 and UPE estimates are as at September 19, 2018. Note: An increased cut-off grade was used in the PPR Overhand D&F for the initial years of 6.5 g/t. (6) The average silver metallurgical recovery is 81.6%. The silver price assumption was $20/oz. Silver was not considered in the calculation of the cut-off grade. (7) Tonnages are rounded to the nearest 1,000 t, gold grades are rounded to two decimal places, and silver grades are rounded to one decimal place. Tonnage and grade measurements are in metric units; contained gold and silver are reported as thousands of troy ounces. (8) Rounding as required by reporting guidelines may result in summation differences. The information in this release is subject to the disclosure requirements of Lundin Gold under the EU Market Abuse Regulation. This information was submitted for publication September 19, 2018 at 05:00 a.m. PT through the contact persons set out below. This press release contains forward-looking information in a number of places, such as in statements pertaining to: timing of first gold production and commercial production, scheduling, gold and silver price and exchange rate assumptions, cash flow forecasts, projected capital and operating costs, metal or mineral recoveries, mine life and production rates, the Company's potential plans and operating performance, changes to the mine plan, the estimation of mineral reserves or the tonnage, potential production from and viability of the Company's Project, access to funding, the terms of the Company's smelting contracts, performance of the Company's contractors, construction and infrastructure development. Lundin Gold's actual results could differ materially from those anticipated. Management has identified the following risk factors which could have a material impact on the Company or the trading price of its shares: the ability to arrange financing and the risk to shareholders of dilution from future equity financings; the ability to maintain its obligations under its debt facilities; risks related to carrying on business in Ecuador; volatility in the price of gold; the timely receipt of regulatory approvals, permits and licenses; risks associated with the performance of the Company's contractors; risks inherent in the development of an underground mine; deficient or vulnerable title to mining concessions and surface rights; shortages of critical resources, labour and key executive personnel, such as input commodities, equipment and skilled labour, and the dependence on key personnel; risks associated with the Company's community relationships; unreliable infrastructure; volatility in the market price of the Company's shares; the potential influence of the Company's largest shareholders; uncertainty with the tax regime in Ecuador; measures required to protect endangered species; the cost of compliance or failure to comply with applicable laws; exploration and development risks; the accuracy of the Mineral Reserve and Resource estimates for the Fruta del Norte Project; the Company's reliance on one project; risks related to artisanal and illegal mining; uncertainty as to reclamation and decommissioning; risks associated with the Company's information systems; competition in the mining industry; the ability to obtain adequate insurance; risks of bribery or corruption; the potential for litigation; and limits of disclosure and internal controls.